When I think of Russia I think music, literature, dance; horse-drawn sleds in romantic snowy landscapes; golden-domed churches; opulent palaces of the Romanovs; and borscht (beet soup). 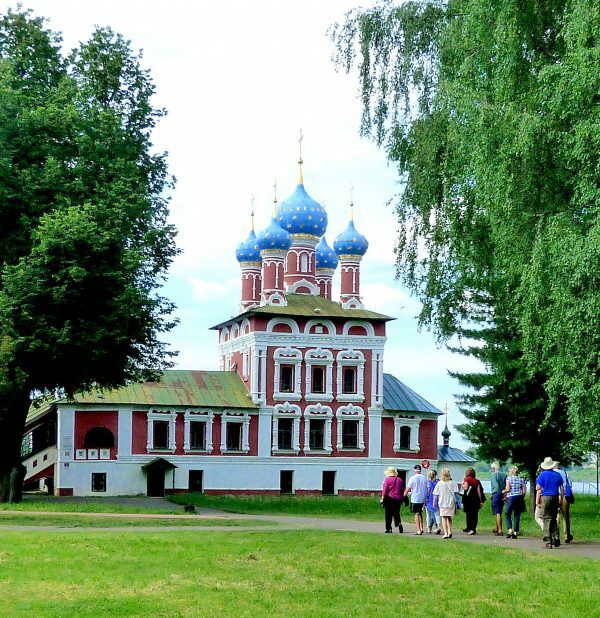 During our Viking River Cruise in Russia, we had a chance to experience all that and more. Our Viking ship was named after the first Russian Dynasty’s progenitor, Rurik, who may or may not have been a Viking Prince and may or may not have been “invited” to rule Novgorod (one of Russia’s oldest cities) in 862. Nevertheless, the family took root and ruled what became known as “Kievan Rus” until 1598. The last of the Rurik bloodline was Ivan the Terrible. Their history of royal intrigue and murder set the tragic example for the reign of the Romanovs, Rurik’s successors. The Romanov Dynasty lasted a mere 300 years, ending with the abdication and murder of Tsar Nicholas II during the Bolshevik Revolution of 1917. We joined the Rurik in Moscow where the ship was our base for three days while exploring the capital city of Russia. Every day presented an adventure, but there was time to relax, make new friends, and sample the Russian cuisine offered daily. 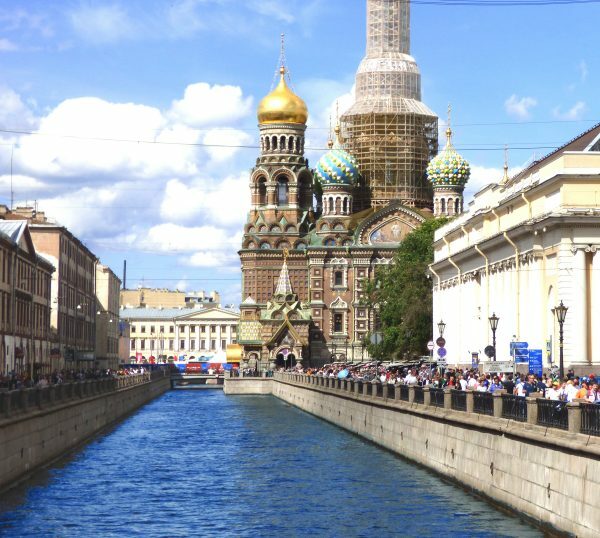 Our cruise got under way on the Moscow Canal, a 79-mile manmade waterway that links the Moskva and Volga rivers. 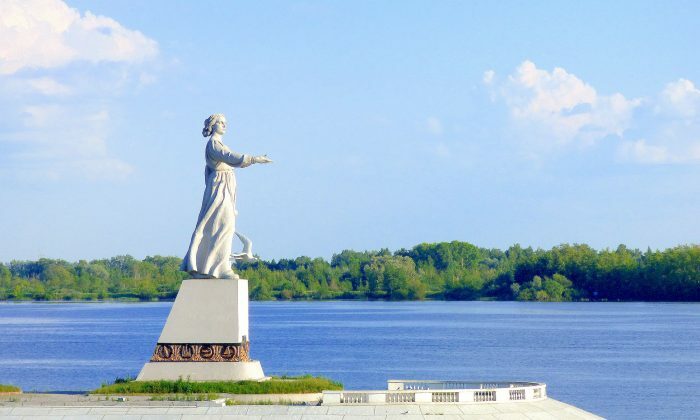 As we left the canal we passed the statue of Mother Volga standing tall as she gestured us onward to the longest river in Europe. Our first stop was the historic town of Uglich, known as the place of exile for Ivan the Terrible’s seventh and final wife, Maria Feodorovna Nagaya, and their son, Dmitry. Dmitry was heir to the throne but he suffered from epilepsy and was unsuited to rule. Sadly, he wasn’t destined to live a long life as at the age of 8 he died of a slashed throat that was later declared a “self-inflicted” accident. Unfortunately for the people of Uglich, his “accident” was witnessed by a loyal servant who ran to the bell tower to call-to-arms the villagers who then rushed to the church and caught and stoned to death the two attackers. Boris Godunov, Dmitry’s foster father and Imperial Adviser and Regent, declared the villagers guilty of murdering “innocent strangers” and ordered that they all be put to death. He also punished the bell by having it thrown from the steeple, with the added indignity of sending it into exile after removing its clapper. The disgraced bell has only recently been returned to Uglich after 300 years. Yaroslavl, one of many cities in the Golden Ring, was our next stop. Golden Ring cities line the Volga and are considered the most picturesque in Russia. It is a beautiful city with well-maintained buildings painted in pastel colors, broad boulevards, and green spaces. We paid a visit to the House of Governors where we were greeted by the “governor’s daughter” in period dress. After touring, she joined the other “sons and daughters” in the ballroom and danced to an ensemble of piano, violin, and base. This was definitely the highlight of the day with many of us joining in the dance or just sitting and appreciating the talented musicians. 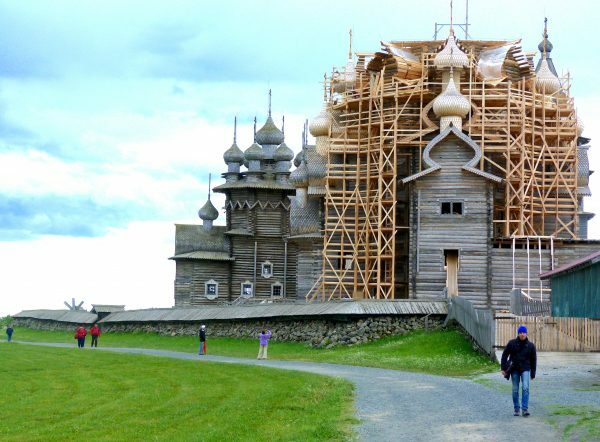 Next day we docked at the UNESCO World Heritage site of Kizhi Island, an open-air museum of architecture. 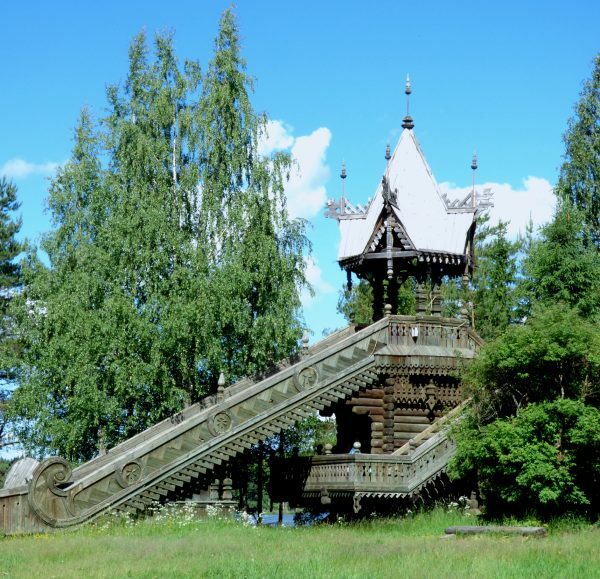 The fantastical 22-domed wooden Church of Transfiguration, built in 1714 without a single nail, is an architectural masterpiece, and even though it is under reconstruction it remains an extraordinary sight. Sadly, unstable ground and insufficient foundations almost brought this unique structure down. After several failed attempts to stabilize the church, the technology finally exists to dismantle and reinforce it from the bottom up, and by 2020 it will stand in its original glory. A few of the reconstructed domes lay on the ground, patiently waiting to take their place at the pinnacle of the church, and so we had a bird’s-eye view of the layered shingle construction. While on the island, we toured an authentic merchant’s house where locals demonstrated the daily tasks that were required to keep the family occupied during the long, dark winter months. The large wooden self-contained structure was home to not only extended families but also their animals and farm equipment. 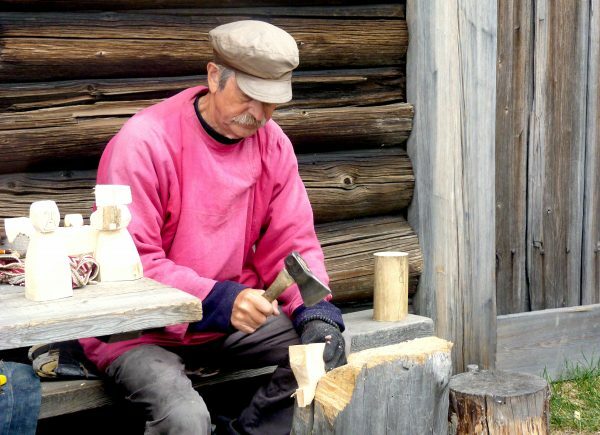 Our last stop before St. Petersburg was Mandrogy, a small village reconstructed as a sanctuary for preserving traditional Russian crafts, and dozens of wooden buildings have been brought to the island for preservation. In St. Petersburg, the Rurik was again our hotel for three marvelous days of seeing some of the world’s most glamorous sites. St. Petersburg was built to be a showcase by Peter the Great, and to this day the city and its environs’ lavish treasures are a testament to his vision.